Savory grilled Canadian bacon, poached eggs on a toasted English muffin topped with buttery hollandaise. 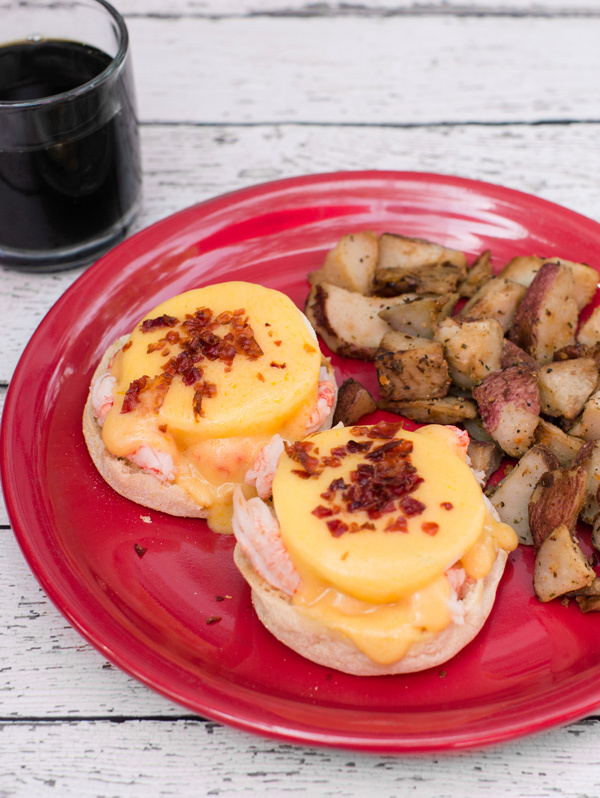 Sweet Maine Lobster sautéed in butter, on a toasted English muffin with poached eggs topped with creamy hollandaise & crumbled bacon. A twist on tradition, sausage patties and poached eggs, nestled on top of a buttermilk biscuit and finished off with buttery hollandaise. It’s yummy y’all! Sweet lemon mascarpone melting on a Belgian waffle with fresh blueberries & whipped cream drizzled with a tangy lemon curd. Rich and creamy Biscoff cookie spread, sliced bananas, whipped cream and topped with crumbled Biscoff cookies for a crunch. Greek vanilla yogurt, bananas and fresh berries layered and topped with sweet crunchy granola. 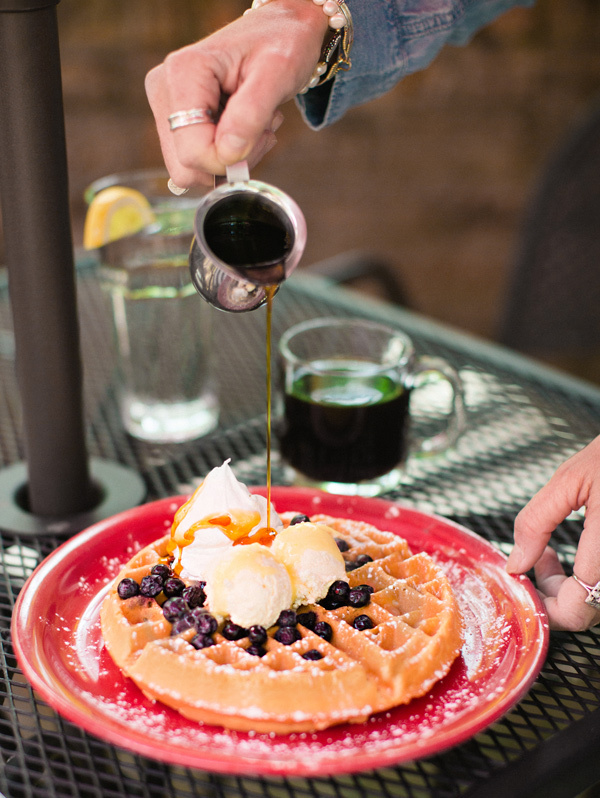 Crispy sweet malted waffle topped with whipped butter & served with 100% pure maple syrup. All sandwiches are accompanied with home fries or fresh fruit. Our version, with melted brie, swiss cheese & grilled Canadian bacon between sourdough toast brushed with dijon mustard. Topped with a sunny side up fried egg. Scrambled egg with any one of our savory breakfast meats & cheese of choice. Chef’s choice of a deep dish breakfast Quiche made fresh daily served with Home Fries or Fresh Fruit. Chobani Vanilla yogurt, fresh berries and bananas layered in a mason jar and topped with honey and granola served with a slice of our homemade blueberry coffee cake. Ask your server about our special creation of the day.